Pharma Franchise for Antibiotic Medicines – Apikos Pharma is one of the top pharma franchise companies in India for antibiotic drugs and antibacterial products. Our company is a genuine marketing services provider for PCD and pharmaceuticals franchise in India. We are proficient in delivering quality range of antibiotic medicines across the nation. 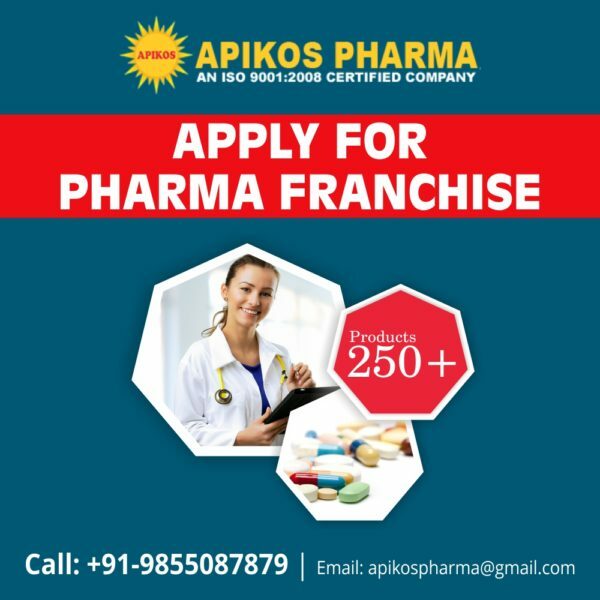 You can be a part of a growing company, Apikos Pharma through pharma franchise for antibiotic medicines range and drugs in India. Antibiotic medicines have vast demand in India. It is one of the best business specialty areas for pharma marketing people. Apikos Pharma is one of the top 10 PCD companies in India when it comes to antibiotic medicines for pharma franchise in India. Our company provides genuine deals of PCD/ franchise pharma all over India. Our range of antibiotics includes tablets, capsules, injectables, pills etc. We assure you to provide quality range at most affordable rates in the market. Apikos Pharma invites all the people from around the nation to be a part of PCD pharma franchise for antibiotic medicines range and drugs. Our business services provide monopoly rights, promotional benefits, attractive incentive schemes and much more. To know more about the exciting deals and offers in your nearest location along with vacancy and other opportunities, you can call us at +91-9855087879 or 0172-5065613. You can simply email us at apikospharma@gmail.com or leave a text in the inquiry box. Chandigarh-based Pharma Company, Apikos Pharma is one of the best-known pharmaceuticals platforms for pharma marketing services. Our company is a well-known provider of third party pharma manufacturing of antibiotics in India. We have a huge consumer base PAN India. Our company specializes in more than 300+ different formulations. Antibiotics are one of them. We are offering business opportunities of pharma franchise for antibiotic medicines in India. The business deals are genuine and flexible in all the parts of India. We have self-owned manufacturing units in excise duty-free zones. We follow rules of GMP and WHO while processing each unit of medicines. Latest packaging technique and technology like ALU ALU, blister packaging etc is used. Our company is headed by a skilled team of experts. The units are backed up by experienced personals. They have helped us achieve a successful list of quality antibiotic drugs. Indio is one of the largest consumers of antibiotic drugs in the world. On an average, an Indian pops up 11 pills of antibiotics each year. The demand has grown at a CAGR of 62 percent. India is amongst the largest producers, suppliers, exporters, and consumers of antibiotic/ antibacterial drugs in the world. The doctors and medical professionals are one of the root causes for the huge demand. These drugs are regarded as safe for consumption as they have nil side effects. The only drawback of these drugs has been on long-term usage leading to resistance. On the other hand, the antibiotic drug has a huge demand in India. One can see great potential here for good business. Our company is a major manufacturer of antibiotic drugs. We also provide third party pharma manufacturing for antibiotic drugs in India. You will be benefited by the huge variety of antibacterial medicines that we provide to our clients. Our company is offering you a chance to be a partner through antibiotic medicines for pharma franchise. Our company makes an available range of tablets, capsules, injectables, pills etc. They are made in perfect proportion and efficacy for better results. Our company provides marketing and promotional support for the better growth of your business. The tools are attractive and made of quality material. We also provide franchise in different specialty ranges like dental, ophthalmic etc. You can expand your business through these genuine opportunities. The business schemes are flexible and affordable to your requirements.